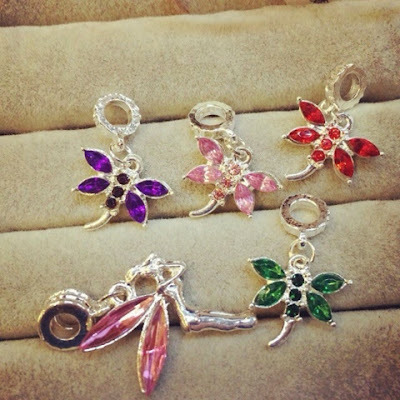 Flying dangling charms. Well, it's a dragonfly to be exact. This will fits your pandora bracelet. Four colors available. Now available for wholesale at 2F-03, 2nd floor, GM Klang. Datanglah sekarang ke kedai borong kami di GM Klang. Siapa cepat, dia dapat. Stok terhad.